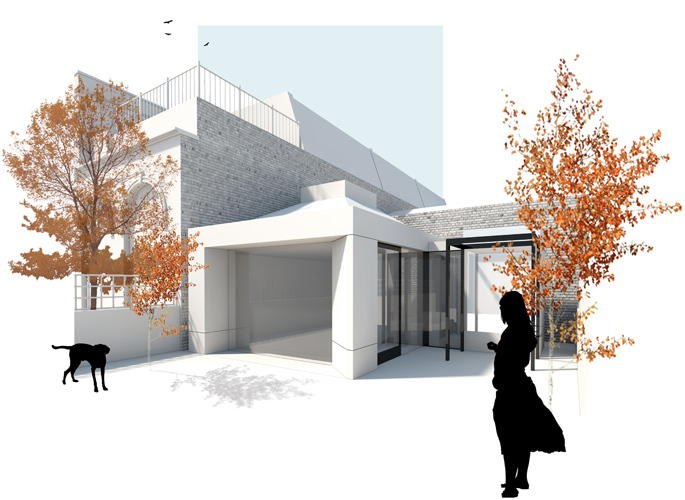 Approached by an open minded, progressive e client we were asked to try and secure an approval for a habitable external space within the confines of a garden, located in a sensitive conservation area in Westminster. Through the detailed analysis of the site and its context, a strategy emerged which minimized the impact of the new structure upon both the landscape, adjacent buildings and neighboring amenity. With a material palette designed to sit comfortably within its context, we’re looking to investigate the potential of both in situ and pre-cast concrete internally and externally for this build.